Katie Price has been desperate to sell her fleet of pink vehicles and it looks like she might finally be in luck – but on one condition. 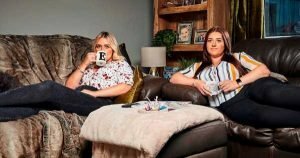 The mum-of-five has put her pink Jeeps up for sale and discovers in her reality show My Crazy Life that someone is keen to buy one for £50,000. Excited at the prospect that she could be finally rid Katie is only too happy to put up the other end of the bargain when she&apos;s told that the buyer will only go through with the purchase if she&apos;ll spend 12 hours with him. Katie can&apos;t believe her luck as she quips: "Can I have his number?!" Katie explains: "My pink cars have caused me nothing but grief." She is selling one through her friend&apos;s husband&apos;s garage, with a starting price of £500. But he soon reveals that the bidders cottoned on to who the owner of the vehicle was and a bidding war quickly reached £66,000. Kris is in disbelief at the price, as garage owner Steve explained: "Well it&apos;s unique and it&apos;s got a celebrity status so people will buy it." However he then goes on to tell a smug Katie that they began receiving some disturbing messages. Reading one out it said: "Ok we know who the owner is. I&apos;ll give her £50,000 for the car if she spends 12 hours with me and purely confidential." Katie is quick to try and snap up the offer as Kris jokes: "She ain&apos;t worth that mate!" It comes months after Katie narrowly managed to swerve bankruptcy towards the end of 2018 after several of her businesses stopped making money amid declining interest in her chaotic life. She&apos;s so far released a kids clothing line, struck up a new business venture charging people how to be like Pricey as well as trying to sell of her motors all to raise cash. The former glamour model has been determined to get back on top amid her personal and financial woes.